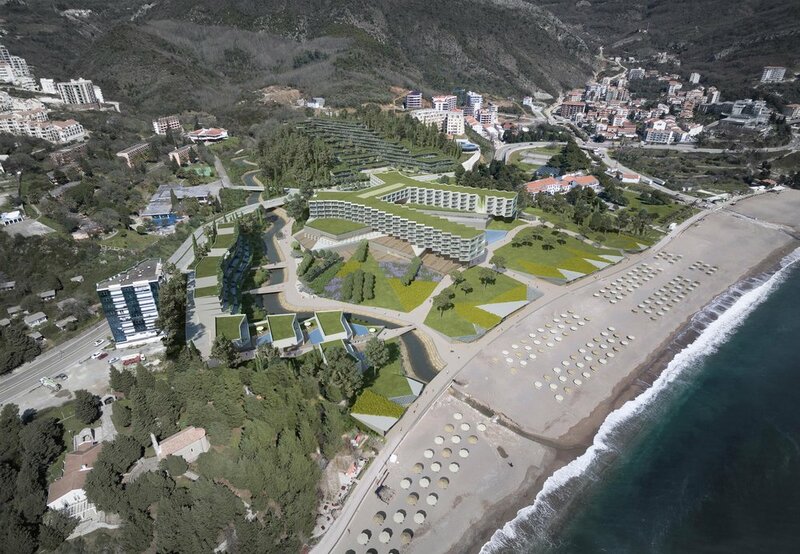 The Atellior team was invited to take part in a competition for the conceptual urban and architectural design of a hotel resort in Bečići, Municipality of Budva, Montenegro. The resort was intended as a luxury 5* hotel, to be operated by one of the well-known international branded hotel operators. The resort consists of 270 hotel keys in the main hotel building and additional 154 keys in villas/apartments. 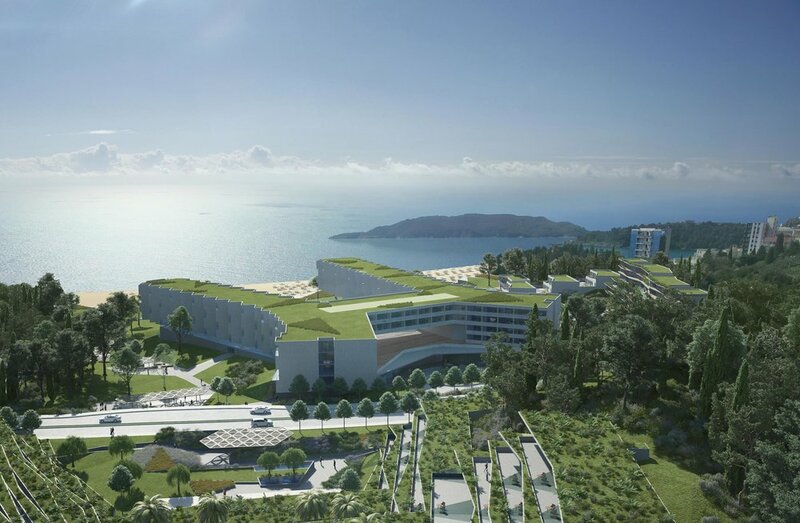 All accommodation and functional requirements were met by our proposal, and a sea view was provided for 78% of the hotel rooms, 100% of apartments and all four luxury villas. Vehicle traffic was minimised, and pedestrian movement and use of buggies encouraged. Public realm, lush landscaping, sports, leisure and children's factors were carefully positioned throughout the resort.